As the images below show, the construction site has been transformed by the Unit’s new steel superstructure and foundations, giving the building a distinct form. In other developments, the existing Intensive Care Unit corridor has been given a new roof and individual patient bedrooms now have partially constructed walls. We are delighted at the sudden speed at which the Unit is taking shape. The site is a hive of construction activity and the build is going really well. 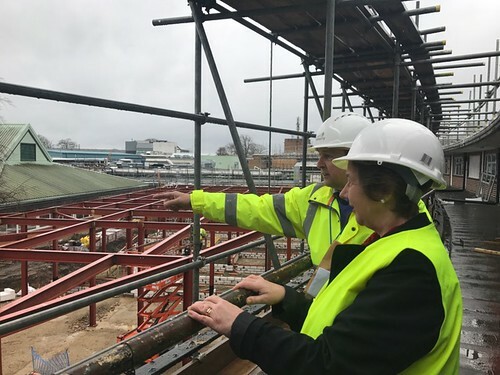 On the ground level, we now have the steel superstructure for the Unit and Imaging Centre and you can clearly see the size and shape of the expansion. On the roof, the team are installing the new heating and ventilation equipment. We are making excellent progress and the programme is on target to complete this autumn.